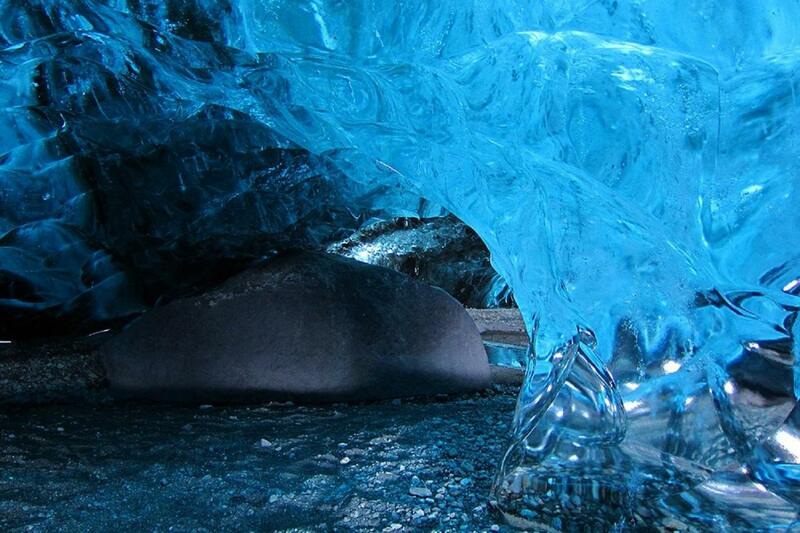 Minimum age for Ice Cave is 8 years. Bring proper hiking shoes, headwear, winter gloves, warm socks, windproof and rainproof outer layers and light and warm inner layers. The glacier lagoon boat tour is an optional addition to this tour. You can select it as an addition as you go through the booking process. 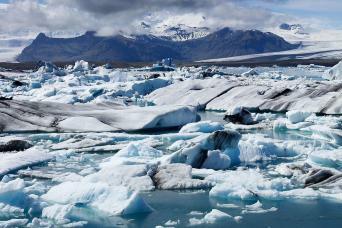 From October through April, boat tours on the lagoon are suspended due to high volumes of icebergs. Cancellation policy for this tour: Fully refundable when cancelled at least 14 days prior to tour departure. This tour has a longer booking cutoff as it is conducted in partnership with another tour provider. Our tours are by default guided in English. After departing Reykjavík we cross a mountain heath past Mount Hengill volcano, which power number of Iceland’s geothermal plants. Descending from the heath we enter the lush lowland farmland, passing the geothermal greenhouse village of Hveragerði and Selfoss, the main service hub of the South Coast. We’ll cross Þjórsá, Iceland’s longest river, and stop in Hvolsvöllur for a short refreshment break. To east awaits the notorious Eyjafjallajökull glacier-volcano. Its eruption shut down much of Europe’s airspace in 2010. After a stop at the tremendous Skógafoss waterfall, where you can walk right up to the cascade, we pass another glacier and formidable volcano as well as expansive lava fields and volcanic black sand plains. At the far end of these dramatic landscapes, we reach the stunning Jökulsárón glacier lagoon—a vast, deep body of water where enormous hunks of ice cleave from the glacier and silently float towards the sea. We’ll explore the black sandy shore of the lagoon, where we often catch a glimpse of the local seal population. Boat tours of the lagoon are available seasonally but must be booked ahead of time during the check-out process. 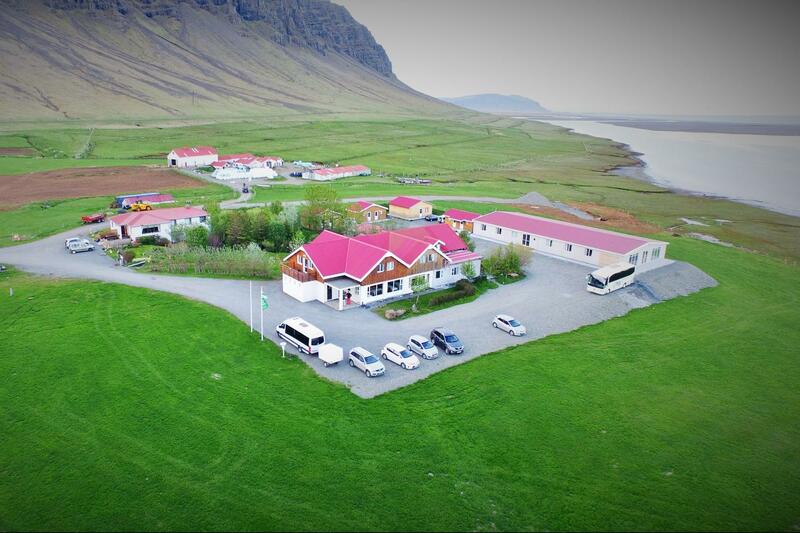 From the lagoon, we’re shuttled to the nearby Gerði Country Hotel where we can explore the tranquil surroundings and dinner is available for purchase. 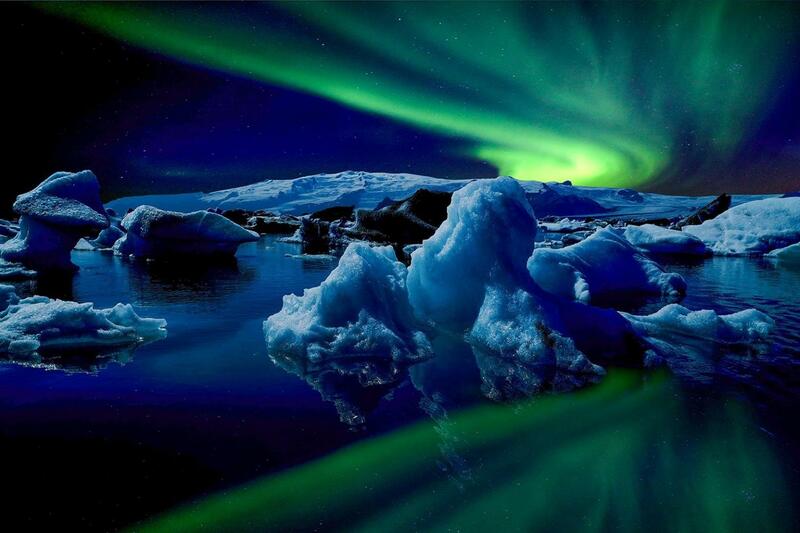 On clear, winter nights the hotel’s remote location is ideal to view the Northern Lights if they appear. After breakfast at the hotel (included), we spend the morning travelling up on Vatnajökull glacier by super jeep. Here a specialist guide leads us on an adventure into a natural ice cave where we will encounter the rare beauty of blue ice. 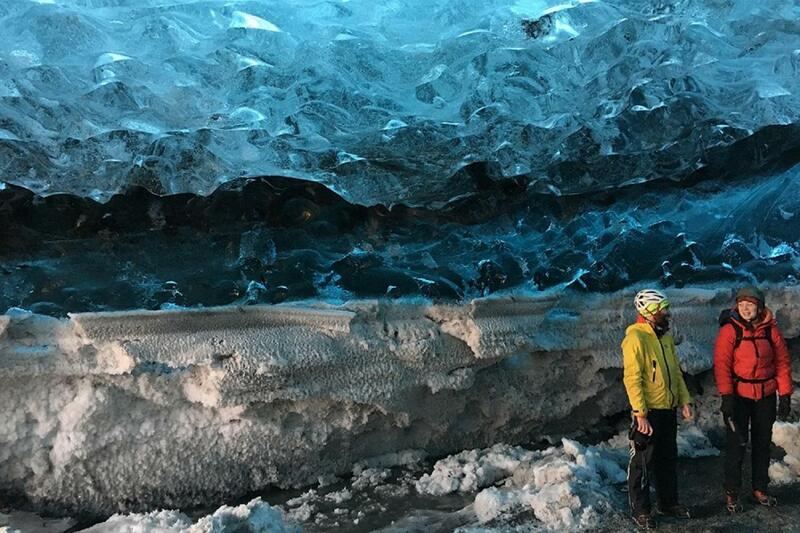 Seeing a glacier from the inside is an experience like none other. Afterwards, we return to Jökulsárlón before we start back and stop at the seaside village of Vík where dinner is available for purchase. Our final stop is often a favourite. 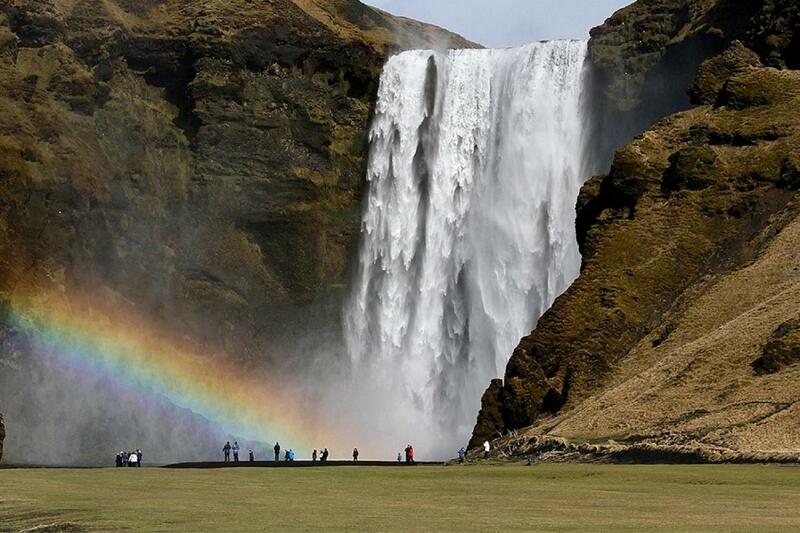 Seljalandsfoss waterfall is a 60-meter cascade down from what were, in another era, towering sea cliffs. Remarkably it is sometimes possible (weather permitting) to pass behind the waterfall, giving visitors a unique perspective of an already dazzling natural phenomenon, including a sweeping panorama out over the countryside. The Gray Line Bus Terminal at Skarfabakki is the central departure point for our tours. Pick up from hotels, guesthouses and designated bus stops starts 30 minutes before the tour departure time stated on your voucher. Check in at Gray Line Bus Terminal is 15 minutes before the tour departure time stated on your voucher.